Expanding its presence in the health-tech sector and the city of Denver, Colorado School of Mines will join Catalyst HTI, a first-of-its-kind health care innovation hub opening this summer that will bring together startups, established health care entities, nonprofits and academic organizations to spur collaboration and innovation. Mines plans to open a 1,700-square-foot office inside Catalyst HTI in early fall. At the heart of the space will be an open workshop and classroom, home to Capstone Design projects, career fairs, technology information sessions and a gallery showcasing the work of students and faculty. The university's new graduate program in quantitative biosciences and engineering and the Center for Entrepreneurship & Innovation are among the entities that will have a presence in the space. "The biotech and health care industries offer great employment opportunities for Mines students and great collaborative opportunities for our faculty who are working on the cutting edge of tissue engineering, computational systems biology, medical device development and more," said Mines President Paul C. Johnson. "We're excited to join the Catalyst HTI venture, increasing our visibility in this vital, growing field of health technology at a local level and accelerating our progress toward establishing Colorado School of Mines as an innovative partner for the industry." When it opens in June, Catalyst HTI will be the first facility of its kind in the U.S., designed to bring together stakeholders from across the health care market to foster collaboration and accelerate innovation. Mines is one of three academic institutions that have committed to join the health-tech integrator, along with the University of Colorado Anschutz Medical Campus and Regis University. Other tenants include national organizations such as Kaiser Permanente and American Heart Association, global firms Hitachi Consulting and Terumo BCT, and dozens of health-tech startups. "We couldn't be happier to have Colorado School of Mines as part of the Catalyst community," said Catalyst HTI President Mike Biselli. "If we want to create a long-term health-tech innovation ecosystem in Denver, we have to have a talent pipeline. There's no better way to make that happen than by bringing entrepreneurs, executives and Colorado's great educational institutions together under one roof to work collaboratively to ensure college graduates are ready to hit the ground running in the industry today and in the future." Judith Klein-Seetharaman, director for biosciences and bioengineering at Mines, will be the point of contact for developing an active Mines presence at Catalyst HTI. Colorado School of Mines is a public university focused on science and engineering, dedicated to pioneering research that addresses the great challenges society faces today and committed to educating students who will do the same. Founded in 1874 as an institution specializing in silver and gold, Mines has expanded its mission beyond the extraction and use of natural resources, becoming a world leader in advancing responsible stewardship of the Earth and developing revolutionary technologies in numerous disciplines. For more information, visit mines.edu. 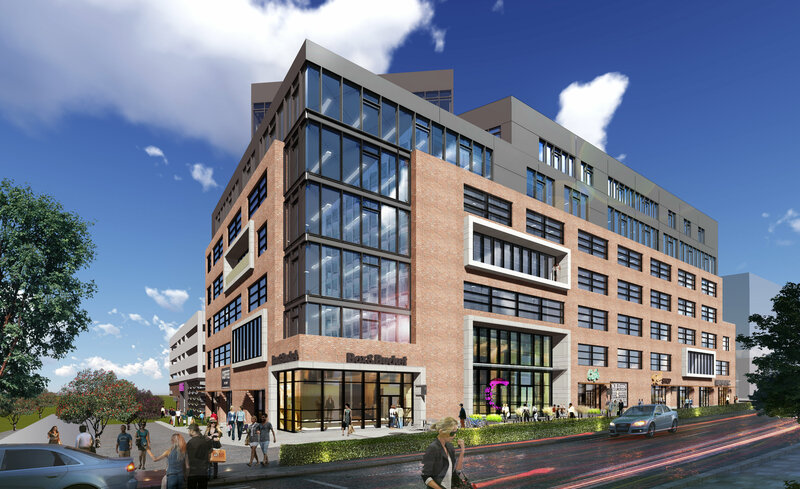 Located in Denver, Colorado's River North District (RiNo), Catalyst HTI is a 180,000-square-foot industry integrator designed to bring health-tech startups and established health care entities together under one roof. The building will cover an entire block, located on the west side of Brighton Boulevard between 35th and 36th streets. Catalyst HTI's goal is to bring together private enterprise (startups to Fortune 20), government and academic and nonprofit organizations with health care providers and payers to accelerate innovation and drive real, lasting change. For more information visit catalysthealthtech.com.